Looking up into the night sky affords us an opportunity to gain some perception of just how vast the Universe really is. Yet what we see is not only a very tiny fraction of the physical Universe of matter, it is also a tiny fraction of infinite of the entire infinite Universe of Energy, of which the outer Universe of matter is a miniscule outer aspect. The Universe can be likened to a balloon, with the outer flexible rubber skin representing the 3D physical Universe of matter and Energy, while the body of the balloon is the greater, non-physical Universe of Energy. However, unlike the balloon which will eventually burst if over-inflated, the Universe can continue to expand infinitely. The outer skin of the Universe can be thought of, as quantum physicist David Bohm described it; "frozen light". In the beginning, when The Source, The First Cause, "thought" the Universe into existence, Energy radiated out from The Source, and as it did so the vibration progressively slowed down, and as it did so the Energy density increased, until finally Energy precipitated into undifferentiated matter. This process is described by Einstein's equation "E=MC2" which demonstrates that even while resting, Energy has an equivalence. "Are not the gross bodies and light convertible into one another, and may not bodies receive much of their activity from the particles of light which enter their composition." This of course is absolutely true but ultimately there are no "gross" i.e. "physical" bodies, or "light" bodies, ultimately there is only a single body of Energy with an infinite range of vibration. 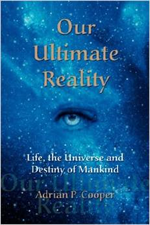 My book, Our Ultimate Reality; describes this process, and the true nature of the Universe in great detail in the chapter "The Wisdom of Quantum Physics". The Universe then is in a constant state of expansion. Scientists cannot understand this process; they still mostly believe in what they call "the big bang theory", thinking that as this "event" happened billions of years ago, the Universe must by now have stopped expanding. Of course time and space are in and of themselves illusions, therefore this, as with any process did not happen "billions of years ago" which is a human concept, it happened, is happening and will always happen in the Now. There is no "beginning" or "end" there simply "Is". Scientists are noting that the distance between stars and galaxies is constantly increasing and they are at a loss for an explanation. In fact, believing the Newtonian physical Universe of Matter is "all there is", and that "space travel" as for example in Star Trek is the only form of "exploration", is no different to the scientists of a few hundred years ago believing the earth is flat and the Sun travels around the Earth. In all of these cases these errors are made due to physical observation and measurement. They believe that if it cannot be seen or measured by scientific instruments, it simply does not exist. The only true exploration is inner exploration, the exploration of Astral Projection, Mental Projection and meditation, all of which are encompassed in my book. Now let us look at the truth of the Universe using our balloon analogy. Take a balloon and partially inflate it. Then pinch the neck of the balloon to prevent the air from escaping. Now, while keeping the neck of the balloon pinched to retain the air, take a black marker pen and draw on the surface of the balloon several small circles. These circles represent galaxies. Next; start to blow more air into the balloon to inflate it further, and then stop and pinch the neck again to prevent the air from escaping. Observe what has happened to the black circles, our galaxies. They have moved apart relative to each other. This is exactly what the scientists are observing but cannot simply cannot at this stage understand. The truth is, the Universe is in a constant state of expansion from within, radiating outwards from The Source, The First Cause, The Mind of "God". It should be mentioned that these describe the entire Universe which is one infinite Mind. The infinite Mind of God is not separate from the Universe, He/She and all creation is expanding also. As the Universe expands from within, the outer physical, 3 dimensional manifestations of the Universe, the Stars, Solar Systems, Galaxies etc. move apart. So what exactly is the force behind this process of expansion? The power behind this expansion is "Mind" Energy in the form of thoughts, emotions and experience. 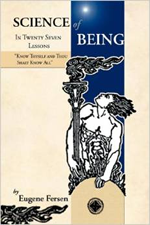 In the beginning all "life" in the form of Spirit came forth from the Logos, and individuated as aspects of The Source, each with an individual Energy field, "made in the image of God", The Source. Each individuated Spirit, which includes every human being, every animal, every fish, every plant and every rock, stone and mineral became a channel through which The Source can experience and therefore expand. Each Spirit is an individuated Energy field within the great Energy field. In the physical world we can see this by means of the "Aura". Everyone, every form of life and every form of matter has an Aura. The Aura is Etheric Energy which is constituted from the 4 Universal Elements, Fire, Water, Air and Earth plus the quintessence of these, the Akasha, or Spirit. The Aura can be viewed clairvoyantly and be seen to consist of numerous colours, the hue, brightness and distribution of which represents the characteristics of the entity being viewed. The Aura is a major subject in its own right that is included in the Our Ultimate Reality book. Our Energy field has a unique vibration representing Who we "Are". 1. Our Higher-Self, more correctly Inner-Self gains experience. 2. The Source, through our Higher-Self experiences. 3. The Universe, All that Is, expands. concept the residents there have of reality, based upon physical world experience. As we perfect our immortal Spirit, the vibration of our unique Energy field increases, and we transition to the Energy level of the Spiritual planes of the Universe that precisely matches our individual vibration, until eventually our vibration approaches the vibration of The Source, and we will have arrived back from whence we came in the beginning. This process of perfection is crucially important to everyone, and forms the basis of my book, Our Ultimate Reality; Life, the Universe and the Destiny of Mankind. So in addition to the individual quest for perfection, what causes the Universe to continually expand? The solution is Mind in the form of thoughts, experience and emotions as well as other thought processes. Positive, joyful, high vibrational thoughts are expansive. Negative, fearful, low vibration thoughts are contractive. This is reflected at a personal level by The Law of Attraction whereby positive, joyful, high vibration thoughts will attract the equivalent experience, as will negative, fearful, low vibration thoughts attracting their own experience. The Universe ensures harmony at all levels by matching frequency of vibration. As we perfect our own control over our own individual life, and therefore vibration, our individual experience expands, our Higher-Self expands and ultimately the Universe expands. So every single thought is a cause which has a corresponding effect on the entire Universe in all spheres of reality. In accordance with the laws of Cause and effect, and therefore Karma, every thought will have a corresponding effect on your life; so choose them carefully. The highest vibration of all is Pure Unconditional Love, the vibration of The Source, and when every manifestation of the Universe has attained perfection and a constant vibration of Unconditional Love; The Source will have achieved realisation. This however is an eternal process with no beginning and no end, and we are all so blessed to be a part of it. In order to realise your own expansion and to contribute to the expansion of The Universe, think only positive thoughts, strive only for positive things, know only Joy, Service and Love, and your contribution to yourself and the Universe and therefore to others will be great and the Universe will continue to expand as it should.